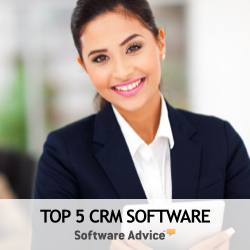 Software as a Service (SaaS) Customer Relationship Management (CRM) solutions are far more than simply a method to realize lower computing costs and faster ROI. They are a disruptive innovation in business class software procurement and consumption. The shift from historical CRM licensing and procurement to the software as-a-service model has taken a strong foothold and continues to be the highest-growth segment of the CRM industry. As more and more organizations experience the benefits of the hosted model, adoption will further accelerate, on-demand delivery will become main stream and SaaS will be the ultimate choice for the majority of business systems procurement projects. However, the global rise of SaaS CRM has not been without its growing pains, inherits many of the troublesome pitfalls of traditional CRM, and brings some inherit hazards of its own. Each progressive generation of SaaS solutions delivers new benefits and risks. First generation hosting solutions were limited in scope, however, provided a welcome alternative to the costly, complex and high risk on-premise software products. The early hosting providers removed acquisition barriers and delivered specific applications without up front capital investment, complex software installations and the need to retain technical staff to manage business software systems. However, while consumption was eased and risk mitigated, CRM products were largely limited to point solutions, basic functionality and almost no customization. Second generation hosting applications were largely purpose-built for Internet-based distribution, dramatically enhanced ease of use and the user experience, and matured to include business functionality that rivaled or sometimes even exceeded the decades-old client/server or on-premise products. This evolution changed the market dynamics in terms of hosted solutions being perceived as inferior or immature when compared to traditional middle market on-premise systems. However, this generational release still did not complete well with the system integration, software customization or process design tools of the more mature on-premise products. The current generation has evolved SaaS CRM in three major ways. First, instead of trying to be all things to all people, several market share leaders such as Salesforce.com, NetSuite and Oracle have developed eco-systems of integrated third party products. These solutions extend the publishers horizontal products into niche markets, new industries and more geographies. Second, SaaS vendors have released increasingly sophisticated integration and customization tools while SaaS itself has evolved to become a component of the cloud and leverage other cloud services such as Platform as a Service (PaaS) solutions and tools. However, even with this generation, pitfalls such as proprietary integration and customization tools, lack of business process automation tools and almost no portability of custom programs and applications among cloud providers pose serious constraints on SaaS buyers. Along with the SaaS industry's continued growth comes continued challenges. Cloud information security threats remain a lingering concern for many, user adoption challenges have shifted but remain a change management struggle, attention-grabbing CRM implementation failure rates continue and customer churn among some popular SaaS vendors is inappropriately high. These are but a few examples of the risks that must be mitigated in order to successfully capitalize on the business opportunity of SaaS CRM solutions. The remainder of this article focuses on seven key criteria which are ultimately influential in determining success or failure in SaaS CRM systems implementation and post-production operation. With the SaaS industry's continued growth comes continued challenges. Cloud security threats remain a lingering concern for many, user adoption challenges have shifted but remain a change management struggle, well publicized CRM implementation failure rates continue and customer churn among some SaaS vendors is unacceptably high. These are but a few examples of the risks that must be mitigated in order to successfully capitalize on the business opportunity of SaaS CRM solutions.